Hello and welcome to the Futures Forum’s bulletin for autumn 2018! With the Scottish Parliament having returned from the summer recess, we look back on a busy summer for us and forward to an exciting autumn of events in our Scotland 2030 Programme. Scotland 2030: Growing Older, Wednesday 3 October, at the Scottish Parliament. Click the image above for more info. This autumn, we’ll continue our exploration into our lives in the future. Having explored what it might be like to grow up in future Scotland, as well as imagining a Scotland without a gender pay gap, we’ll tackle the later stages: growing older, and death and dying. On Wednesday 3 October, Ross Greer MSP will chair a debate on growing older in Scotland in the future. As we live, and work, for longer, how will we spend our later years? How can we meet the challenges of an ageing society, and exploit the opportunities? And how will an increasing number of older people change our society and culture in the future? 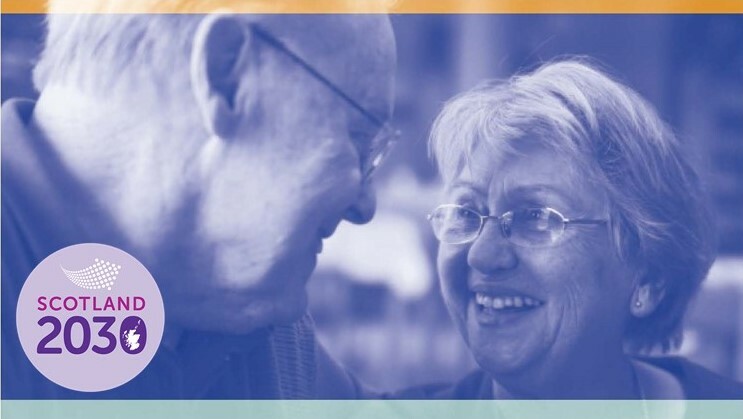 This event is open to the public: click here for more detail, including on how to register: Life in Future Scotland: Growing Older. On Tuesday 6 November, the Parliament’s Presiding Officer Ken Macintosh MSP will chair a debate on the final stages of life in the future. With input from Richard Holloway, a renowned author and broadcaster and ex-bishop of Edinburgh, this seminar will explore the taboos around our final days and how Scotland’s relationship with death is changing and will continue to change. More information on this event will be released shortly – follow us on Twitter or join our mailing list to stay in touch. This October, the Scottish Parliament’s Festival of Politics returns with a wonderful line-up of speakers, events and debates to inspire and challenge. We’re delighted that, following last year’s discussion on Drugs, we’re partnering again with the Festival on a couple of incredibly important topics: automation in the workplace, and democracy in a digital world. The full programme is available on the Festival’s website: festivalofpolitics.scot. The Futures Forum supported two seminars on the opportunities for Scotland presented by autonomous vehicles. With input from experts at Jacobs engineering, Transport Scotland and the UK’s Centre for Connected and Autonomous Vehicles, participants discussed the opportunities in tackling social exclusion, pollution and road problems of road safety, as well as the challenges in public acceptance, technological infrastructure and potential congestion. Read more about the events here: Scotland 2030: Autonomous Vehicles. Our most recent event in the Scotland 2030 Programme considered the wide-ranging and incredibly important subject of food. 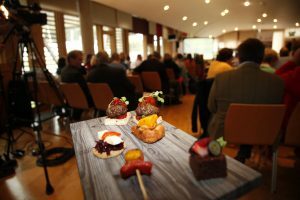 From the food we produce in Scotland, sell both here and abroad, to research on sustainable food production and trends in the Scottish diet, the event covered a range of challenges for Scotland in looking to our future. Read more about the event here: Scotland 2030: Our Food Future. Our work with the Goodison Group in Scotland on education in the future continues with a discussion on secondary education in the future on 13 November. More information will follow shortly. Check out our Scotland 2030 education pages for full information on what’s been done so far, including some great looking draft scenarios of education in the future. With colleagues in the Parliament, we’re looking to explore the future of adult social care, including both age-related care and long-term conditions. If you are interested in finding out more, send us an email. Finally, we are delighted to welcome Stuart McMillan MSP to the Board of Scotland’s Futures Forum. Stuart replaces Clare Haughey MSP, who was appointed Minister for Mental Health in the Scottish Government earlier in the summer. We wish Clare all the best in her new job, and look forward to working with Stuart over the coming years. 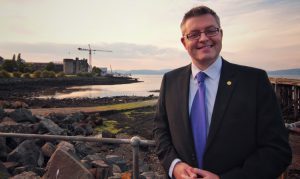 Find out more about Stuart McMillan at his profile page on the Scottish Parliament website, and learn about the work of our directors on in the About section of our website. To be emailed invitations for Futures Forum events and updates on our work like this one, join our mailing list! Just email ScotlandsFuturesForum@parliament.scot to be added. We keep your name, address and organisation (if supplied), and we don’t share your information with anyone else. We use it to email you about events and work that may be of interest, and each email includes the option to unsubscribe. For more information about how we use personal data, please see the Privacy Notice on our website.